ReutersJeb Bush speaking at the Republican National Convention in 2012. Former Florida Gov. 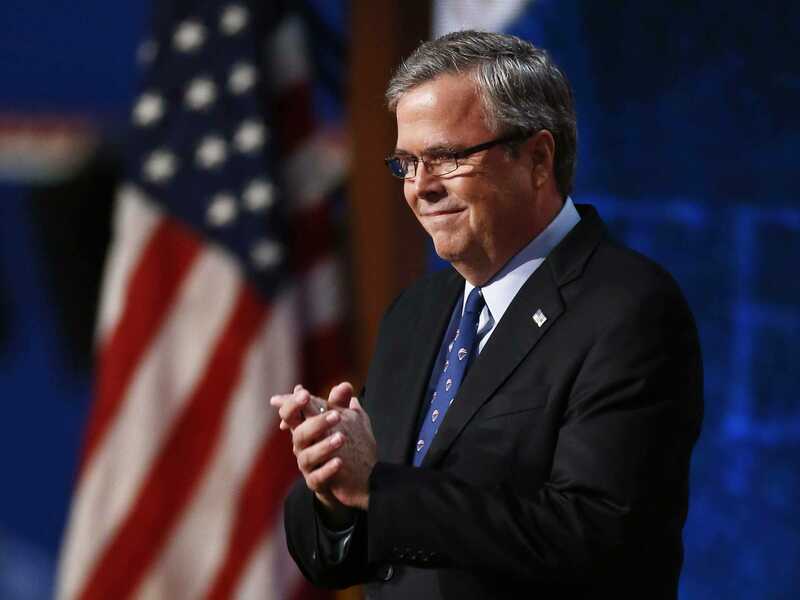 Jeb Bush (R) is reportedly moving ahead with his potential presidential campaign, meeting with potential donors and lining up support on Wall Street. According to a Daily News report published Wednesday night, Bush visited an unnamed downtown Manhattan bank earlier in the week to secure financial backing for a potential White House bid. It wasn’t his first such trip, either. “He’s been having these secret visits with guys who can write six and seven-figure checks,” a finance industry official told the paper. Bush’s spokeswoman insisted he has yet to make up his mind about a presidential campaign. If he runs, Bush, the son of former President George H.W. Bush and the brother of former President George W. Bush, is expected to heavily court the Republican establishment and business community.